Boston has a special place in our heart. It’s where the Revolutionary War began, the home of the Boston Red Sox (#yankeessuck), and a place that inspires you to quote “Good Will Hunting.” How do you like them apples? The Crafty Cask team also loves the Boston-area for its craft brewery scene. And let’s be honest…we’re a little biased since our founder is from Massachusetts too. But we’re not biased on the greatness of the beers coming from one of our favorites, Trillium Brewing, which has developed almost a cult-like following. The founders Jean-Claude “JC” and Esther Tetreault say the inspiration for their brewery came from dumb love. Most couples plan their weddings by creating a guest list and selecting their first dance. JC and Esther dreamed of owning a brewery. 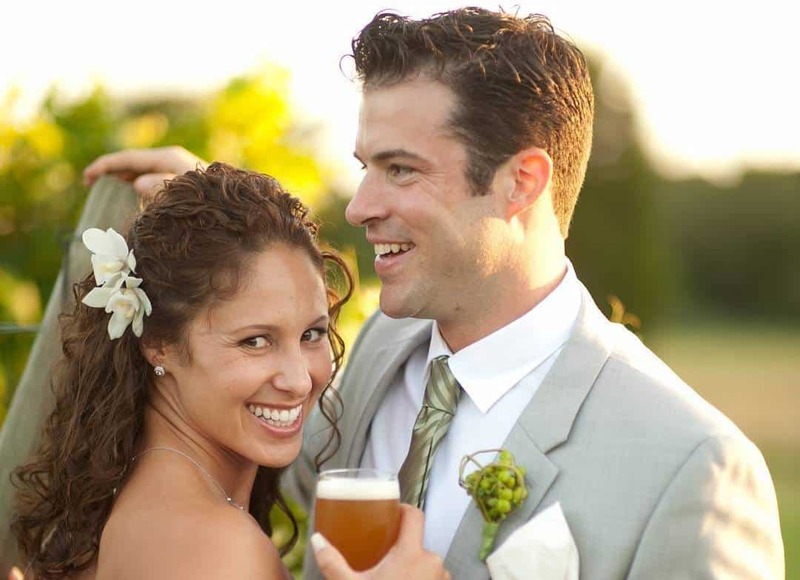 Their nuptial plans included applying for zoning permits and attending city hall meetings to get approval to open their brewery with an on-site production facility. For JC and Esther, opening a brewery in Boston would be challenging. Indeed it was. It took them over a year to obtain permits. They decided to set-up shop in the trendy Fort Point neighborhood of Boston. Their brewery was a big deal in Boston because only three other production breweries received these permits since 1986!! To put that in perspective, Ronald Reagan was President, the average price of gasoline was $.89/gallon, and the critically-acclaimed film “Top Gun” was in theaters. In 2013, JC and Esther’s dreams became a reality. They called their 10-barrel brewhouse Trillium, a flower that JC says represents beauty, strength, simplicity and balance. A great metaphor for both life and beer. 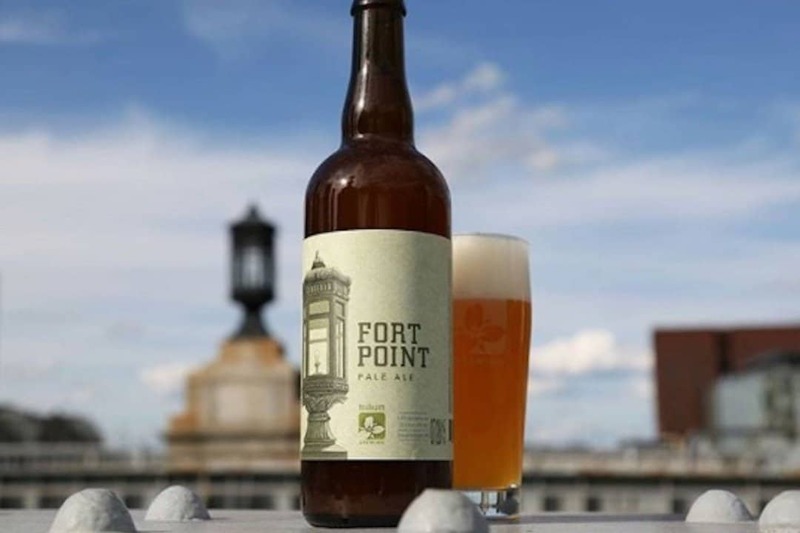 The brewery was teeny in comparison to its Boston brewery neighbors (Harpoon and Sam Adams), but the Tetreaults came with a fresh perspective on brewing with an intense focus on quality, local ingredients. The best way to describe Trillium is a brewery with a farm-to-glass concept. Native New England yeast cultures are the foundation in ales such as New England Wild Ale or the super funky Blueberry Super Soak American Sour Wheat Ale. From Galaxy Dry Hopped Sunshower Super Saison to Heavy Mettle Double Imperial IPA, Trillium offers an array of beer styles that appeal to anyone and everyone. These hop-forward, local beers with super fun names and often more fun backstories have a cult-following. Trillium is a favorite of beer enthusiasts who value local ingredients, innovative brewing techniques, and a smaller brewery experience. Until recently, Trillium would sell out of its favorite fan selections, given their production facility was small. Nothing like a little scarcity to build hype. But that hype is well-deserved. In 2015 and 2016, RateBeer rated Trillium Brewery as one of the top 100 breweries in the world. 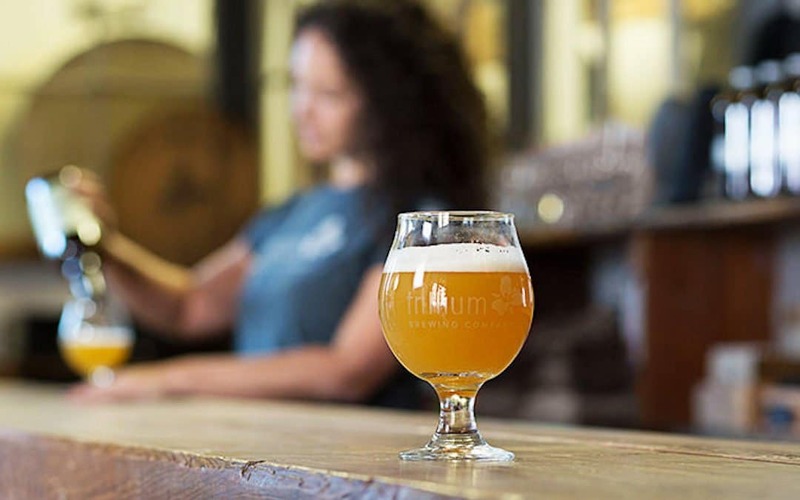 In 2017, Trillium’s beers appeared seven times on RateBeer’s list of 100 best beers, including Congress Street IPA, Melcher Street IPA, and Summer Street pale ale.